Harden's Guides have been compiling reviews of the best restaurants in Old Hunstanton since 1998. Hardens guides have spent 15 years compiling reviews of the best Old Hunstanton restaurants. 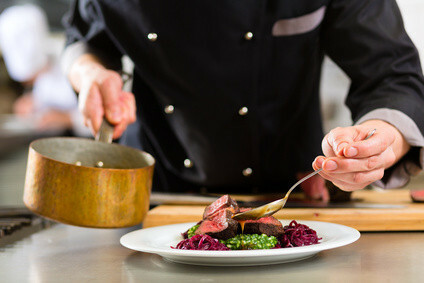 On Hardens.com you'll find details and reviews of 1 restaurants in Old Hunstanton and our unique survey based approach to rating and reviewing Old Hunstanton restaurants gives you the best insight into the top restaurants in every area and of every type of cuisine. “We go once or twice a year and it never disappoints” – Kevin Mangeolle’s “smart” and “characterful” converted coaching inn (which he runs with wife Jacki) delivers “heaven on a plate” for the good number who report on it. It’s a “tiny”, “very intimate” dining room, and the cuisine – be it from the prix fixe menus or tasting option – “continues to grow in quality, providing real food to taste and savour”. “You are looked after in a really friendly informed way too, which allows everyone to thoroughly enjoy the experience in their own way”. These are the top restaurants in Old Hunstanton based on reviews by Hardens users.